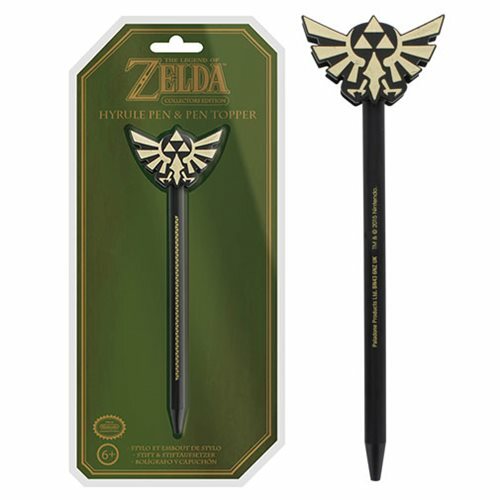 Add some true The Legend of Zelda flair to your desk with this fabulous The Legend of Zelda Hyrule Pen and Pen Topper shaped like the Hyrule emblem. Do your Zelda fan buddies have one of these? Ages 6 and up.